New York City native Anne Price has often been compared to Joan Baez. Anne began performing when she was a student at Hunter College in the Bronx in the 1960s, and since then she has appeared at venues as close as the Peoples' Voice Cafe in New York City and as far away as the 15th century Black Swan Public House in York, England. Her repertoire includes everything from traditional folk ballads to country songs, songs of the sea, cowboy songs, songs about work and the labor movement, and love songs. She sings many songs from folk based songwriters, such as Jean Ritchie, Peggy Seeger, Woody Guthrie, Si Kahn, and many others, and she writes a few fine songs of her own. Her voice is strong, rich, and expressive. the Folk Music Society of New York (aka New York Pinewoods Folk Music Club). singing harmonies on songs by such writers as Kate Wolf, Bill Staines, The Beatles, and John Denver. with Steve Suffet, Joel Landy, Eric Levine, and Gina Tlamsa. Eric Levine passed away the night of May 7-8, 2008. Anne's CDs are available from CD Baby. Anne's newest studio CD, A Few More Miles to Go, is now available! at Hunter College in the Bronx, 1965-1966, is also now available from CD Baby. Coming Home (1987) and My Time (1992), is now available as a download album from CD Baby. 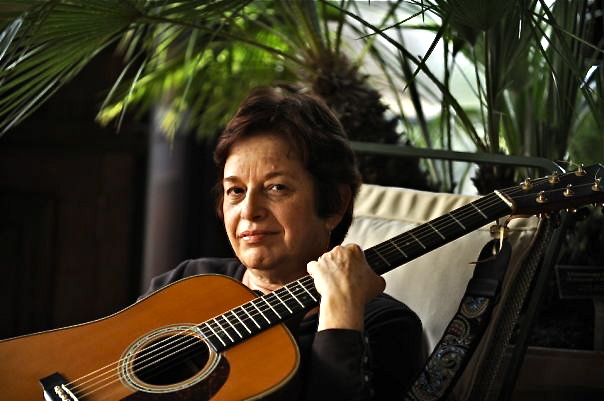 "[Anne Price] has a voice made for folk. It is expressive, rich, and honest." "Anne Price sings just like early Joan Baez (with a touch of Carolyn Hester)." to songs both traditional and self-penned. She also has a wicked sense of humor." "Surely among the most beautiful folk voices being heard today . . .
She is a terrific songwriter as well as a wonderful singer." "Anne Price has a glorious expressive voice." Use player above to listen to some of Anne's songs. Links to friends and organizations. Woody Guthrie Birthday Bash webpage.